A simple model of folding stick with a crutch handle in hardwood, stained and varnished a deep burgundy colour. 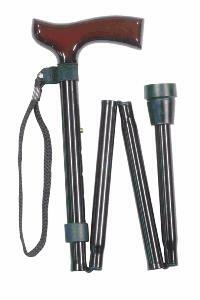 The light and strong aluminium shaft is painted black and folds to four sections. It is height adjustable. 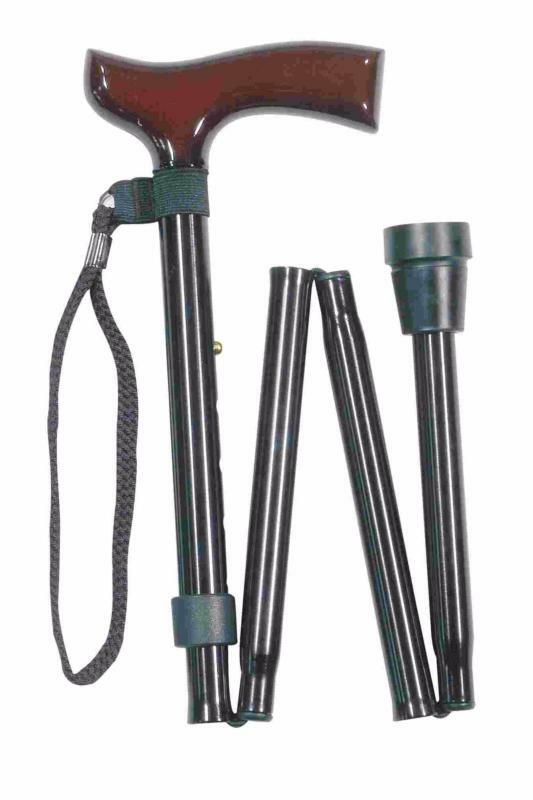 The smaller model adjusts from 70 to 80cm (approximately 27.5"-31.5"), overall length when folded is 32cm approx (13"). The larger model adjusts from 77.5 to 87.5cm (30.5"-34.5"). Fitted with a black cord wrist loop and a rubber ferrule. Ferrule diameter 19mm.